Well what W/E of rugby!!!! Wins for England, Ireland & a superb display by Scotland in the game of the round against France. Debate, Furore, Conjecture, Anger, Frustration, Jubilation, Emotion and some great rugby!! Everything you'd want from the greatest game in the world. Well we started off with an opening game that gave us a game of expansive flowing rugby. Ireland scoring tries at will in the first half. They lost Tight Head Prop Furlong after only 4 Minutes but it looks like it may have only been a slight twinge with his hamstring. Andrew Porter made an extremely able replacement carrying well throughout. Worse though, was losing Centre Robbie Henshaw who dislocated his shoulder scoring his second try and is likely to be out for the rest of the season. The first half really was all about Ireland. A pretty lacklustre Azzurri side made heavy work of trying to gain any worthwhile ground. The second half saw a number of changes for the Irish and the introduction of some of the younger element including Leinsters Joey Carbery and explosive young talent, 20 year old Jordan Larmour. Larmour had two stand out aspects to his debut 35 mins of international rugby. A sublime jinking run showed the crowd the same skills he has been dazzling the Leinster & Pro 14 followers this season. However, his inexperience let him down when he missed a tackle on Mimozzi that eventually lead to an Italian try. He like the other youngsters carbery and Stockdale are all outstanding talents in development and will continue to learn the step up to international level is not easy. They REALLY excite though! Ireland did lose their composure at times in the second half and in between the usual errors, the Italians played some excellent rugby. They picked up 3 tries and those 19 Pts whilst welcomed as signs of continued improvement for The Azzurri, may well affect Ireland come the business end of the competition. Time will tell? Overall a very solid display display for Ireland and much to take away for the Italians. The absolute standout moment for me was the 65 Metre chase back by Irish winger Keith Earls to stop the Italians scoring a 4th and what would have been their FIRST ever BP in the 6 Nations. Well this was touted pre-match as being the game of the round however for me is was in the main a pretty drab affair, affected by the weather. Others will have seen it differently I’m sure? England started with their trademark pacey opening 10 - 15 minutes game using the ball wisely and looking for any and every opening. The ever improving Farrell whose vision, tactical awareness & strength continue to improve massively (yes…...credit where it’s due!!) set up Johnny May with a neatly chipped kick into an ocean of space for their opening try following the first of a myriad of mistakes from Wale’s Rhys Patchell. Clearly the Eddie Jones mind tricks earlier in the week against Patchell had that ealy effect. England and May scored a second try and Patchell added to his woes by missing a penalty kick. The pace was pretty unrelenting given the poor conditions and actually Wales pushed hard and ended the first half on the upwards momentum. It wasn’t nonetheless a spectacular viewing game for me? The debate over whether Gareth Anscombes try should have been allowed will go on and on and on and on ……………..especially if it affects the outcome of the competition?? The TMO said no!! The TV, video clips, analysis, still photographs ALL appear to tell a different tale but the decision was NO TRY!!!!!!!!!!! The second half saw a valiant Welsh side push England and they had a number of chances to score but the English defence was to be fair pretty stoic. It wasn’t pretty but I suppose it was a good old fashioned England v Wales test match? The highlight of the game for me though and completely overshadowed because of #TRYGATE was Sam Underhill saving the game for England as Scott Williams slid in for a try but Underhill who had raced across, got a hand under Williams body and that momentum was enough to take them both into touch. It was an absolutely superb piece of defensive play from the american born Bath Rugby Flanker. England saw the game out 12 - 6. The outstanding game of the round was at Murrayfield were both Scotland and France had points to prove after Round 1 defeats. The game started, continued and ended with the same frenetic pace. It was an outstanding game of test match rugby. Apart from Finn Russell who had a complete mare of a game, Scotland were in great form and running lots of the same slick handling & off loading balls style of rugby we have seen from Glasgow Warriors this season. It was a side about as far apart from last week that you could imagine. MOTM was Scotland’s scrum Half Greig who Laidlaw kicked 22 Pts in a 32 - 26 win which was a fantastic comeback having trailed at half time 14 - 20 to two Teddy Thomas tries and penalties from Maxime Machenaud. France’s Thomas carried on where he left off against Ireland in Round 1, with 3 scottish players missing tackles as he jigged and weaved his way through. Scotland matched France throughout the game, punishing them with penalties for almost every infringement and eventually Laidlaw put them ahead. They were are far better disciplined and focused team from 7 days ago. Mentally Gregor Townsend put them in a better place and there;ll be a sterner test for England in Round 3 in 2 weeks time. For the French, they lost the game as much as scotland won it. Errors and effectively a team of individuals showed they still have some way to go to become a force to be reckoned with. Yet another fantastic weekend of 6 nations Rugby! There's a 2 week break until Round 3 however our weekly rugby roundup, “3 BLOKES, A BALL & BOD” will be on as usual this Thurs at 2100Hrs / 9PM GMT where we will be looking at a review of this W/E plus the Women's 6 Nations to date and more besides. Here’s a thought for us all! Players will have good, bad & mare days………...just ask both Rhys Patchell and Finn Russell after this round of games. Coaches can have good bad & mare days……ask Eddie Jones after interfering (again!) 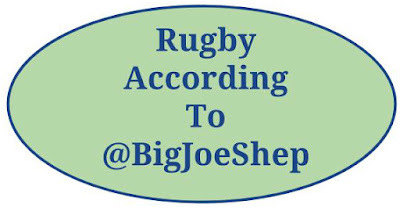 with World Rugby over Alun Wyn Jones last week……...mind games or poor judgement??............ Refs and assistant referees can have good, bad & mare days…….. Ask Nigel Owens after the France v Ireland game last week…….TMOs can have good, bad & mare days…..ask the N.Zealand TMO after this weeks England v Wales game and #TRYGATE……..even match day doctors can have good, bad & mare days……..ask the French match day doctor from the France v Ireland game last week who got confused between a head & a knee…..our match day analysts & pundits can have good, bad & mare days…….ask Stuart Barnes who kept calling Greig Laidlaw GREGOR during the Lions tour of NZ this past summer………….and of course WE the avid followers, fans, club level players and armchair pundits have good, bad & mare days………….. Just look at FaceBook!!!! …….what sets us apart from every other sport I believe is that when all said and done, we shake hands on or off the field, we applaud the other team, the other views or thoughts or our friends and protagonists, we RESPECT the referee and EACH OTHER, we have a drink together either physically or virtually and remember the days when we were together enjoying the craic, the banter, the love of all things oval. OUR love of rugby!! In 2 weeks time, we’ll start all over again. There’ll be other issues, points & incidents to debate in Rounds 3, 4 & 5 that’s for sure. That will as ever once again kick it all off in the virtual & physical worlds and #TRYGATE and everything else that’s past will be just that...in the past.